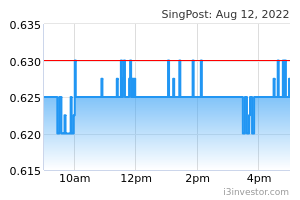 Singapore Post (SingPost) delivered a 7.6% YoY rise in revenue to S$441.4m and a 15.6% increase in net profit to S$50.2m in 3QFY19. Excluding one-off items, underlying net profit fell 7.5% to S$32.9m, such that 9MFY19 underlying net profit accounted for 78% of our full year estimate and was in line with our expectations. The US businesses are expected to remain loss making in FY19, and there is a risk of impairment to their carrying values. In line with its usual practice, the group has declared an interim dividend of 0.5 S cent, which is the same as last year. 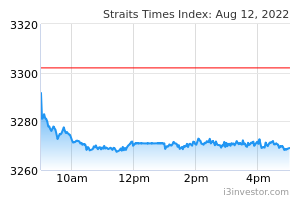 Pending an analyst briefing, we put our Buy rating and fair value estimate of S$1.23 under review..